Wrapper: Ecuadoran. Filler: Dominican, Nicaraguan. Binder: Nicaraguan. Country of Manufacture: Dominican Republic. Factory Name: El Credito. -- The history: In 1999, Ernesto Perez-Carrillo Jr. decided he wanted to bring something special to his many La Gloria Cubana customers. Inspired by his personal taste for very full-bodied cigars, he introduced the Nos. 4, 5 and 6 Serie R cigars. And so began today's trend for fuller-flavored cigars. The final Serie R masterpiece, the No. 7 (7' X 58) is a tribute to Ernesto's late father, Ernesto Perez-Carrillo Sr., who founded the family's cigar business in the Little Havana section of Miami in 1968. The cigar: Packed in dark mahogany, cabinet-style boxes replete with gold inlay logos and lettering, Serie R cigars deliver their extra-bold bouquet as soon as the box is opened. Their full-bodied flavor comes from a special blend of long Dominican and Nicaraguan filler, superb Nicaraguan binder and a wonderfully aged and extra flavorful Ecuadoran wrapper. The result is a rich, full-flavored smoke unmatched by any other cigar. The experience: Designed for seasoned cigar lovers looking for the ultimate in bold flavor, Serie R cigars come in four full-bodied sizes, each one guaranteed to please even the most discerning seeker of rich, robust cigars. This is a smooth and complex cigar. Great taste. Really enjoyed this stick. I hadn't had a #7 in a few years and I took advantage of a sampler offer. It was better than I remembered. Good draw, burn and i really enjoyed the taste. I will have to buy more. 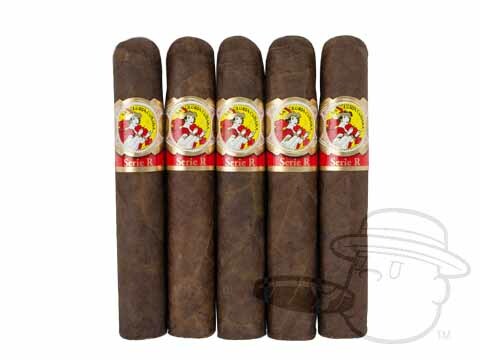 The series R maduro # 7 is by fall one of the best of La Gloria Cubana cigars . It's full flavor and great taste make this a very satisfying smoke . Best Prices, Best Products, Best Service! If you are looking for a great cigar, this one is for you! 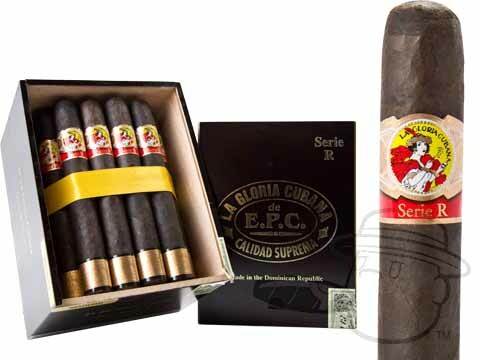 La Gloria Cubana Serie R #7 Maduro is rated 4.1 out of 5 based on 7 customer ratings.